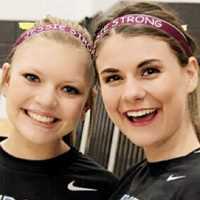 Reversible Hats are fashionable and FUNctional! The Reversible Hats have several great looks. 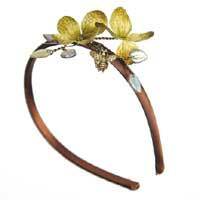 Whimsical & Elegant Headbands with glass leaves, beads, flowers, and pearls by Robin Goodfellow. 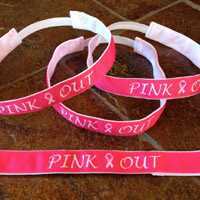 The headbands are 100% polyester design / 100% nylon backing for comfort and grip with elastic strip for the perfect fit. 1.5″ wide and one size fits most (un-stretched circumference is approx. 20″ and stretches to approx. 24″). 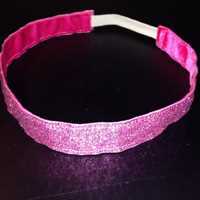 Purchase this JCat original headband to support the Pink Fund. 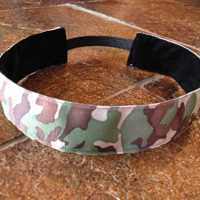 Headbands are 1″ wide and one size fits most (un-stretched circumference is approx. 20″ and stretches to approx. 24″). 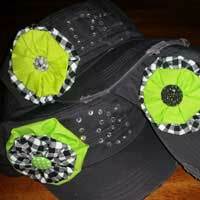 Cadet style hats with skull bling, Fleur de Lis bling, rhinestones, and studs. 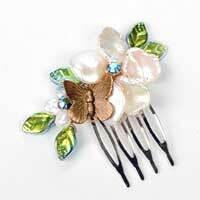 Whimsical & Elegant Hair Coms with glass leaves, beads, glass flowers, and pearls by Robin Goodfellow.